MERCEDES ML 270 CDi 0353-11,000miles 1 OWNER. 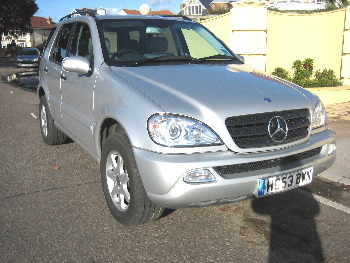 MERCEDES-BENZ ML270 CDI Tip, 5 Doors, Automatic, Station Wagon, Diesel, 2003 53 Reg, 11,000 miles, Metallic Silver. 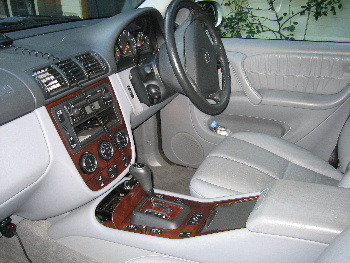 ABS, Adjustable seats, Adjustable steering column/wheel, Alloy wheels, Climate control, Computer, Cruise control, Driver airbag, Electric mirrors, Electric windows, Foglights, Front armrest, Electrically adjustable seats, Head restraints, Folding rear seats, Leather seats, Immobiliser, Passenger airbag, Power assisted steering, Rear armrest, Remote locking, Roof rails, Side airbags, Rear headrests, Sports seats, Traction control, CD, Metallic paintwork, Radio/CD, Wood/wood effect trim, Central Door Locking, Power-Assisted Steering, Electric sunroof. Lux Pack.Privacy Glass,1 Owner from new,11,000 miles Only,As new with balance of Manufacturers warranty.